Nestled into the historic residential fabric of Visalia, the expansion of Recreation Ballpark takes its cues from the great neighborhood ballparks of a bygone era. 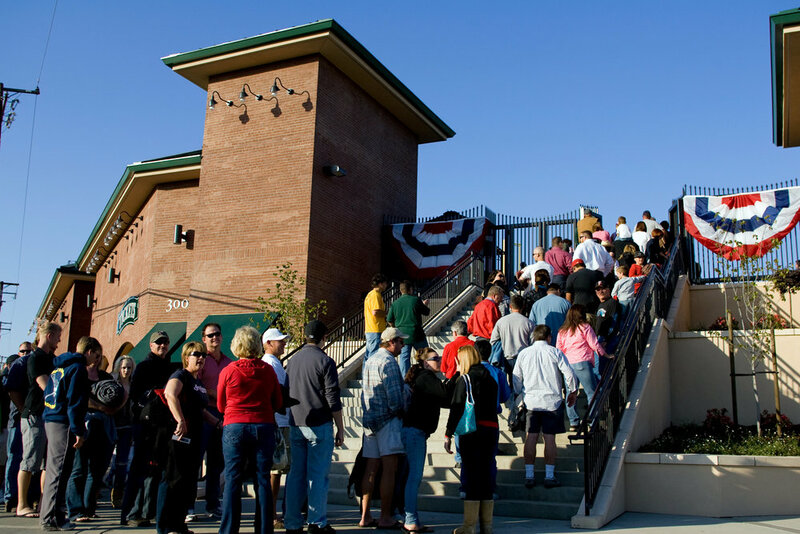 Inspired by Wrigley Field and Fenway Park, the two-story, brick-clad structure occupies a narrow footprint down the right field line that varies from forty to sixty feet from the public right of way, before wrapping around the right field pole. The result is pure magic! Wrap-around grass berm, known as "The Pasture"